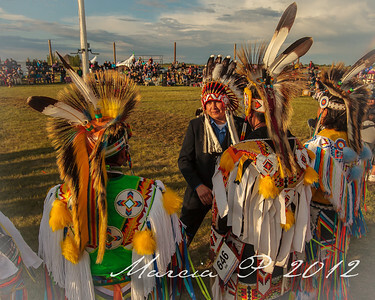 My encounters with the buffalo led to a very intense revelation of the history of the great plains which also radically altered my perception of the indigenous peoples. 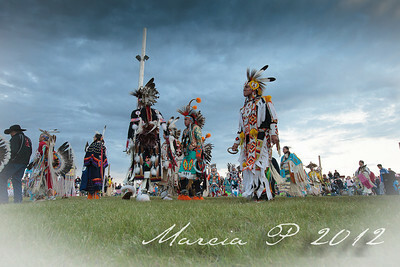 I was born on the prairie not far from here and this is my homeland so it's important that I learn to understand it. 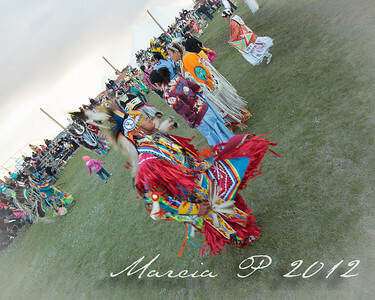 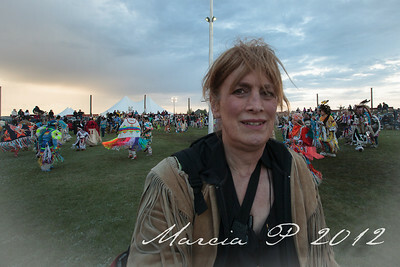 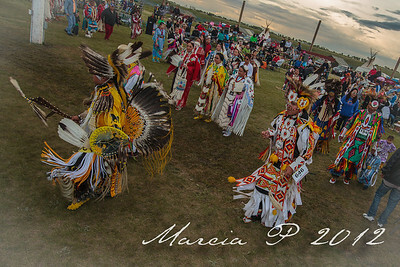 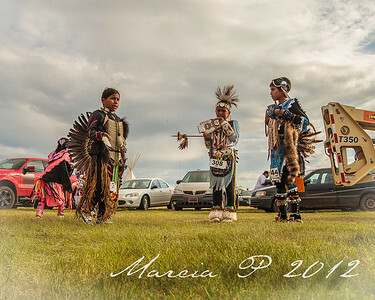 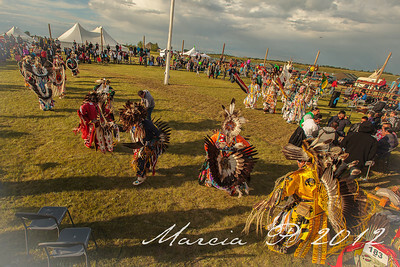 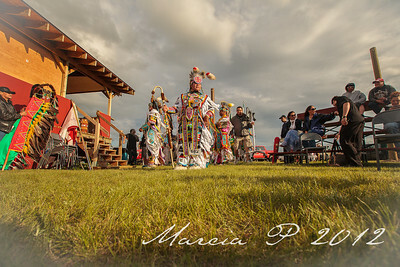 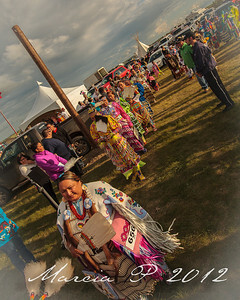 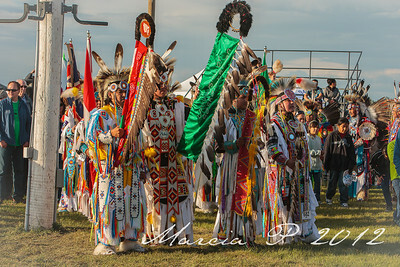 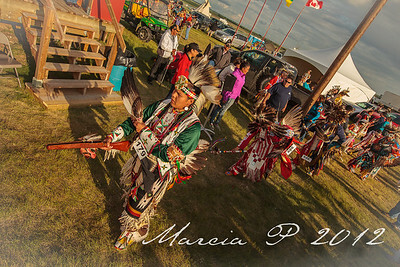 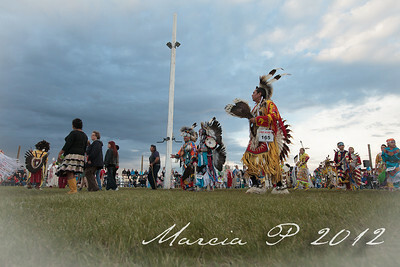 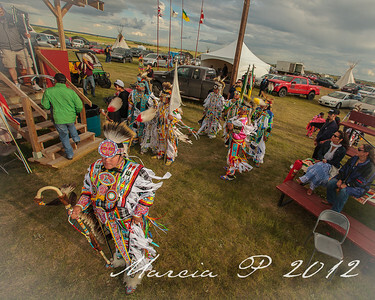 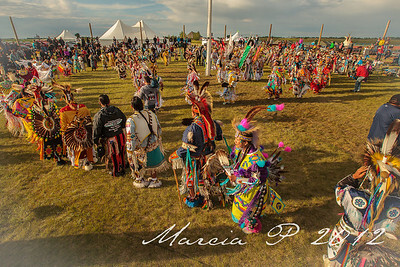 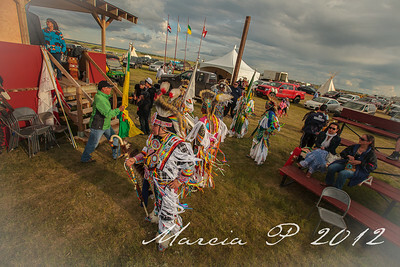 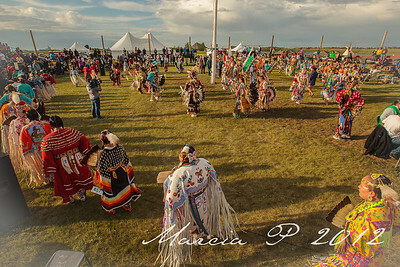 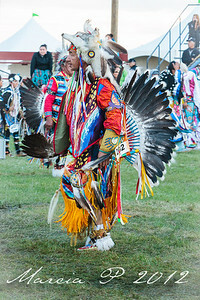 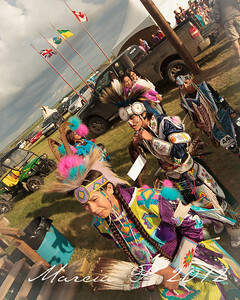 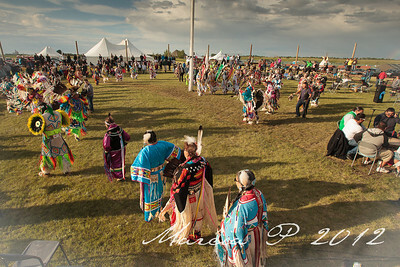 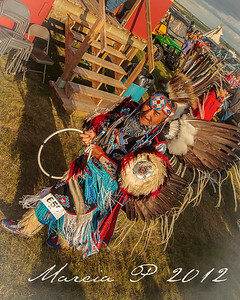 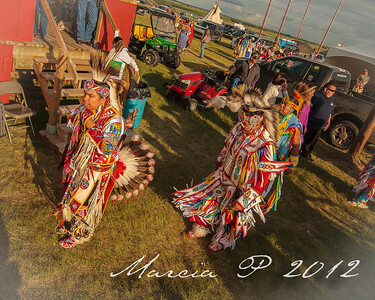 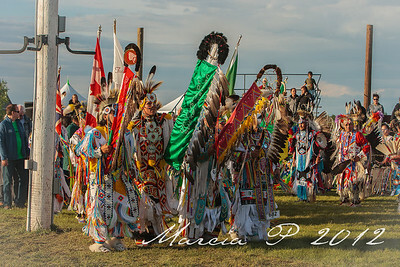 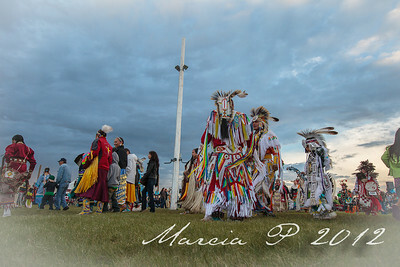 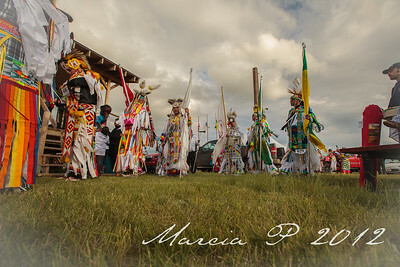 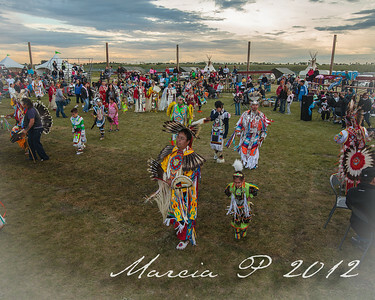 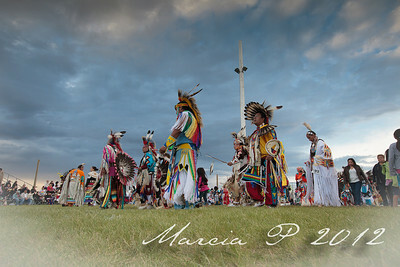 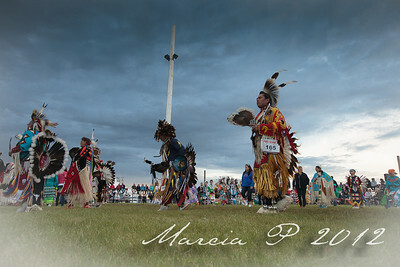 Clad in a buckskin coat, I recently attended a major native pow-wow (my first ever) at an ancient buffalo jump called Wanuskewin which is now a sort of native cultural centre. 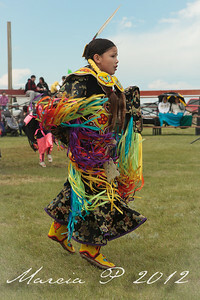 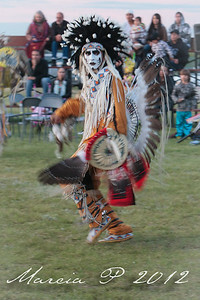 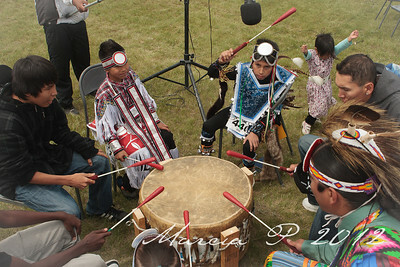 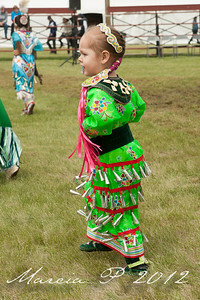 There were native people from all over western Canada and the western American States. 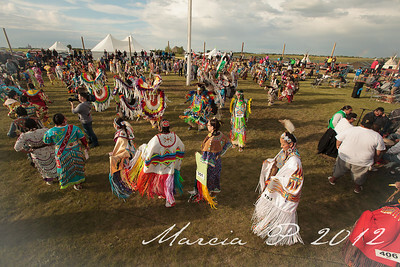 It made me realise what these people are made of. 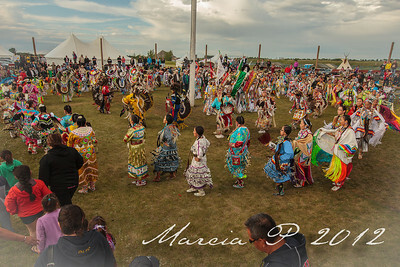 I appreciated their indomitable spirit in keeping their culture alive despite the intense effort of the Canadian and American Governments, abetted by the Churches, to extinguish it all. 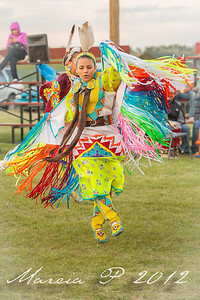 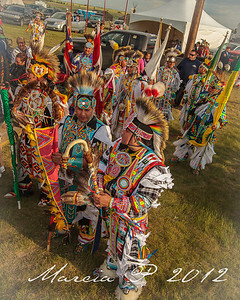 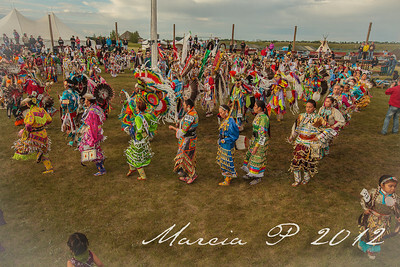 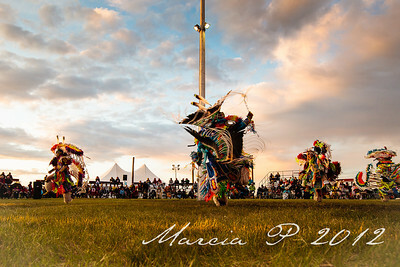 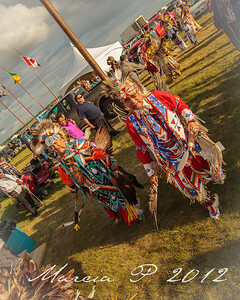 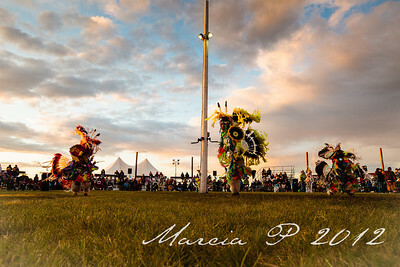 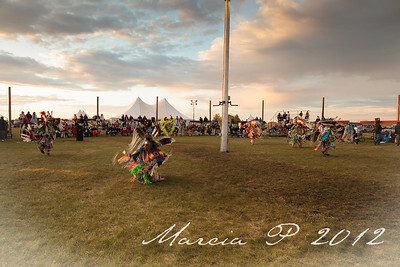 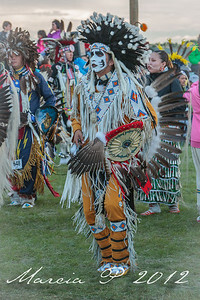 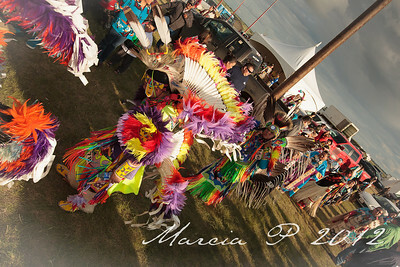 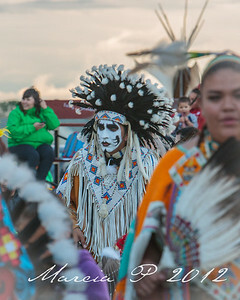 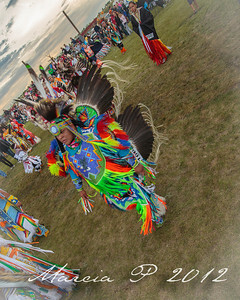 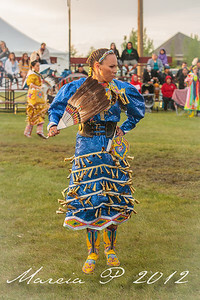 The spectacle of the dancers was the manifestation of who they were and are and they appeared to me as the flames of many candles set to illuminate the way for generations of First Nations to come. 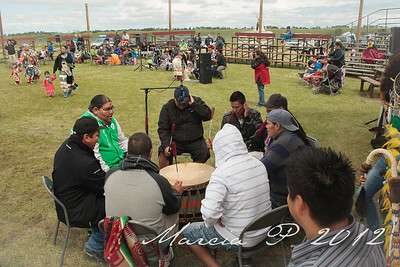 It was an humbling experience.